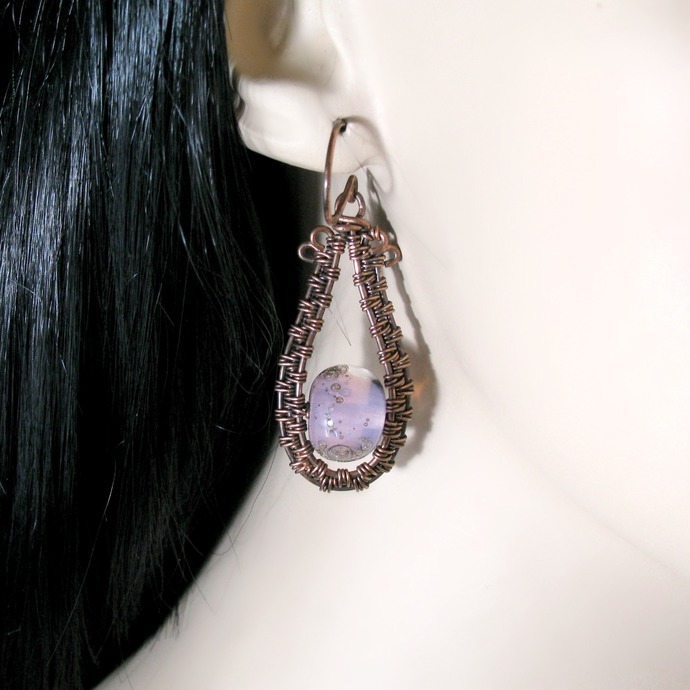 Beautiful transparent pink lampwork beads by Deronda ONeill and woven oxidized copper wire give these long drop earrings a touch of vintage. 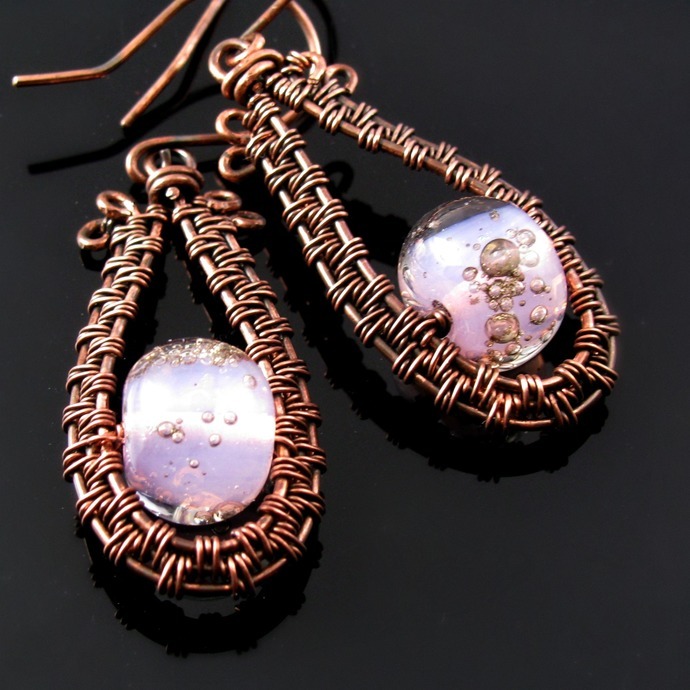 The bubbles in the beads and the contrast of soft pink and dark copper add extra interest. 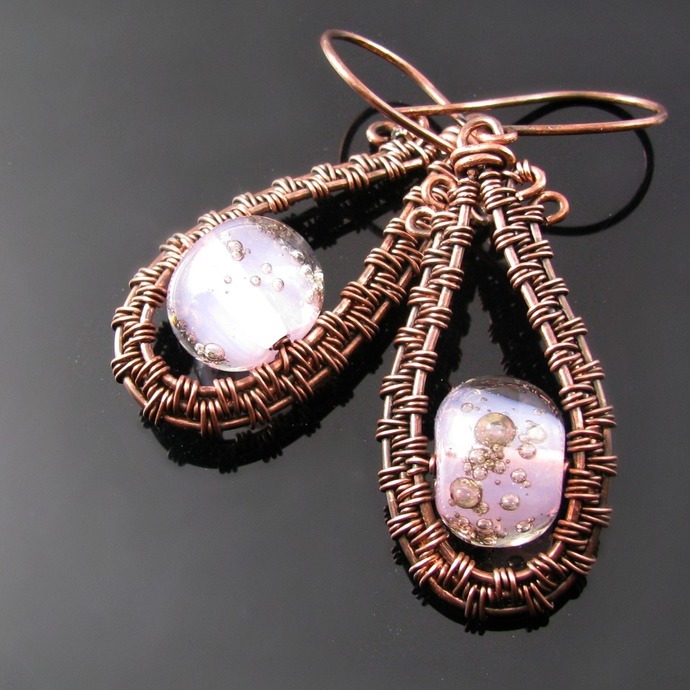 The earrings are 6.4 cm or 2 1/2 inch long.